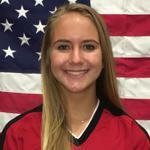 Lady Hustle 18 Gold's Kylie Roberts is so excited about committing to Embry-Riddle. She will graduate from Livermore High School in 2019. We are so proud of you! Click Kylie's picture for information about Embry Riddle and their softball program. Aleah Plays for Lady Hustle 18 Gold and will graduate from Miramonte High School and looks forward to attending Bates College in Lewiston, Maine! We are so proud of you! For more information about Bates College click on her picture! Lady Hustle is excited to announce 12u Team! Lady Hustle will be having a 12u team this Spring! Stay Tuned for tryout details and coach announcements! Emily Montes plays of the Lady Hustle 16 Scherer Team and will we attending the Academy of the Arts to continue her academic and athletic career. We are all so proud of you! To learn more about the Academy of the Arts and their softball program click on Emily's photo. 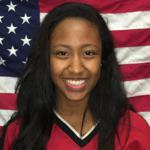 Ayanna Sanchez commits to Chapman University! Ayanna plays for Lady Hustle's 18 Gold Team and will continue her academic and athletic career with the Chapman Panthers! So excited for you!! For more information on Chapman and the Panther's softball program click on Ayanna's Picture! 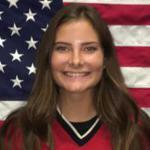 We are so excited to announce that Lady Hustle 18's Taylor Lehner will be graduating from College Park and moving on to Pomona-Pitzer! For more information about Pomona and their softball program click on Taylor's Picture! 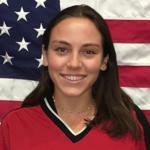 Hustle's 18 Gold Player Paige Blackwell is excited about committing to the Pomona-Pitzer Softball Team! We are so proud of you! Click on Paige's Picture for more information about the Sagehen's! Hannah Plays for Lady Hustle 18 Gold and will graduate from Northgate High School!! Congratulations Hannah! PLEASANTON — As the winning streak grew, the national ranking rose and pressure mounted, Amador Valley High softball coach Teresa Borchard and her staff had the Dons live by a simple motto. “We just talked a lot about staying in the present,” Borchard said. Lady Hustle brings a new pitching coach onto the 18 Gold staff! LH 16's takes 5th at CHAMPIONS CUP!! Emily Montes commits to Academy of Art University! HUSTLE'S SUE VI NAMED 2016 MOST INSPIRATIONAL ATHLETE!! Amador Valley High School, Coached by Hustle's Teresa Borchard, Is MaxPreps #1 in the Pre-Season Fab 5! Lady Hustle's Jillian Pluschkell (Cal Poly) and Jessica Emde are returning varsity players at Amador Valley High School! Missy Nunes Receives Offer To Play At Oregon State!